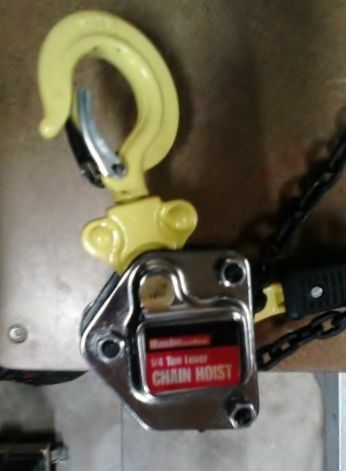 I picked this hoist up today to install my new Grizzly G0572 Air Filter (see my other review). length when fully raised. It what short enough to get the air filter up to the ceiling. My regular chain fall was way to long. With the 20% coupon I paid about $35. If you are going to hang anything like a air filter pick one up and save your back. -- When you leave your shop for the night, make sure you can always count to 10. Is this a stock item or online only? It was in the store at my location.